I'm wondering why beer we buy at the store, often from local breweries, has no issue with taste even though they've sat on the shelf for many weeks? I'm sorry, I don't understand. TPO thats why, Less is more. General Homebrew Discussion / Re: Wort vs water boil off rate? Hell I am at around 4% now and All my grain bills use pils malt. Is it really a wonder that brulosophy doesn’t understand technical and professional techniques? Its not what they do, which I am totally cool with. It’s the improper proliferation of information that is my beef (read: clueless followers). Anywho, you have the proper reading materials and I think you have came up with the proper solution. Remember. Pros don’t ferment under pressure (hydrostatic) because they want to, it’s because they have too. There are very few advantages to homebrewers in terms of scale, but this is one of them. General Homebrew Discussion / Re: Can carboy jiggling cancel suckback during cold crashing? if it does it would be just a little vodka. Why is that, should have been co2 in the line at the start of the crash? Unless there is oxygen in the vodka, but like I said none made it to the fermenter. General Homebrew Discussion / Anheuser Busch trying to take over the Homebrewing market? The point of the thread, was AB trying to take over the homebrew market. They have owned NB for what? 2+ years now? The foil hat reference was directly to that. 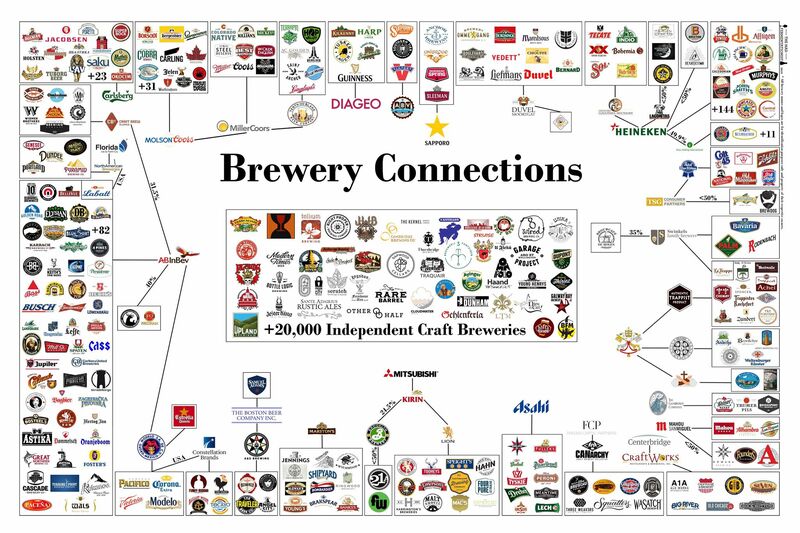 What nefarious things have AB done to the homebrew market since the ownership? Unless I am missing something that would be exactly nothing. All the rest of the consumerism talk is side stepping the topic. Good thing you don’t drive a car, bank at a national bank, own a credit card, own a cell phone, purchase internet from a provider, shop at a big box store, or basically anything we as Americans purchase/own. As those companies as just as nefarious. Oh that’s right. This is somehow different. NB and Midwest is my LHBS, they have treated me exceptionally well for the last 18+ years and won’t stop using them. I know many employees personally and and most of this couldn’t be farther from the truth. When I read this post all I see is a bunch of tin foil hat talk with no actual facts to back it up. All Grain Brewing / Re: DO content in raw ale wort? Near zero. O2 content of boiling wort is 0, so. But you have to boil for an hour to get it to zero from what I understand, so shouldn't it be higher? If I remember correctly DO in the mash is somewhere around 8ppm or higher. Without a boil, shouldn't it remain around that? My lag time was just under 5 hours, but I expected faster from a kveik strain. Aside from that it's been behaving strange. It's now day 5 and it's more vigorous than days 1-3. Not that this necessarily had to do with aeration, I'm just thinking maybe it didn't help. No, it doesn't work like that. It's temperature based, and happens quite quickly. 212 is 0, which basically happens the second (well say with in 30 seconds) it reaches that temp. Edit: Here is a graph from my HLT going from room temp to boil from this morning. Because why not would I log every input, output, etc for 30 days. You can see the inverse of temp to DO, and how it matches and instantly falls as temp raises. Heh. Mine just go right in the dishwasher. Denny, is this just a really cool (pun intended?) toy in and of itself, or do you think it will be somehow be a significant advancement in your "no lift" brewery makeover? Time will tell. I brewed yesterday and it was totally no lift with my current setup. Pump strike water from kettle to mash tun, gravity feed mash to kettle, pump from kettle to 10 gal. corny already in chest freezer. This was more of an opportunity....Drew and I were asked to beta test. What could I say? You could have said what you say to me, how you don't believe in automation, and a cooler is just fine. Aroma fade is oxidation for sure.